This large white bean is grown locally in the small village of Voatavu, in Madagascar. Beans are popular in most parts of Madagascar in stews and soups. 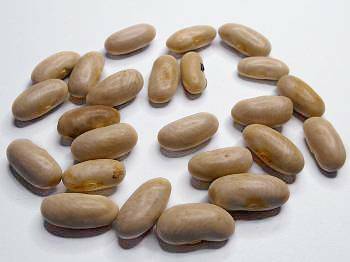 Beans such as this white bean were undoubtedly introduced by the French during colonization and became popular food staples ever since. But over the years the original French varieties gradually evolved, becoming distinct landraces adapted to the local conditions and local preferences.